I've been writing about Romania off and on for more than 10 years, researching guidebooks for Lonely Planet and other travel publishers, as well as writing feature articles for newspapers and magazines. Over that time, as an American traveling in Romania, I've gotten myself into some strange and unexpected situations, but nothing comes close to the weekend I spent in the Romanian capital, Bucharest, with my then-girlfriend many years before that in the spring of 1990. 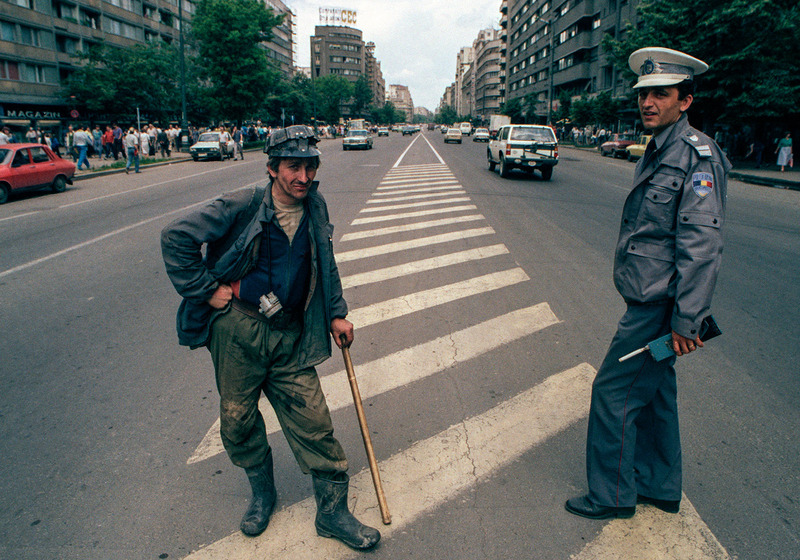 Posted in On The Road, Tales From The Past and tagged 1989, Bucharest, mineriada, miners, revolution, Romania, Timisoara. Delia, my co-traveler for that crazy weekend in Bucharest. Photo by Mark Baker. One of my earliest trips to Romania took place years before I ever became a travel writer. 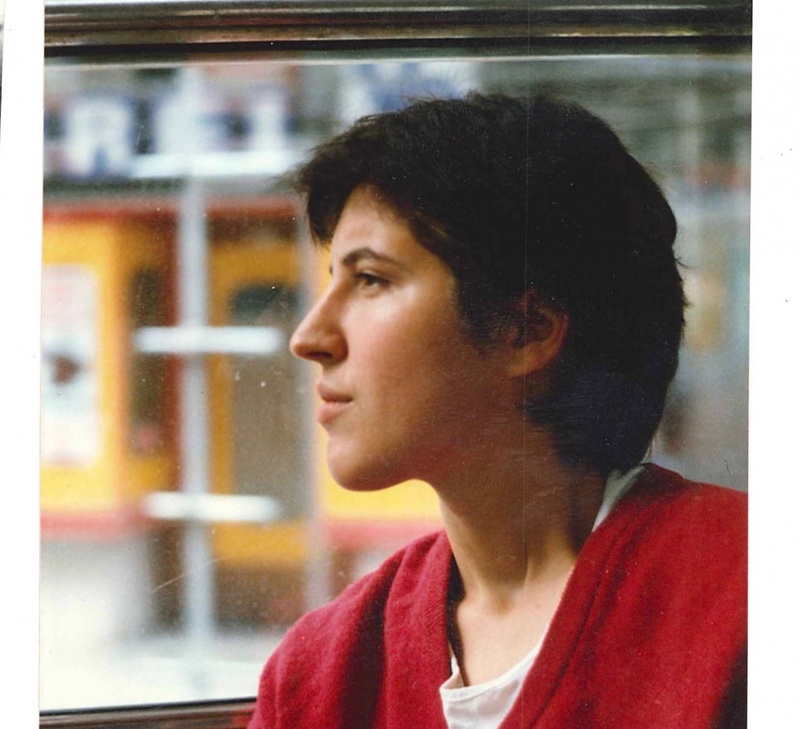 It was 1990 and I was living in Vienna at the time. I was working as a reporter for a small research and publishing company owned by Britain’s “The Economist” group. 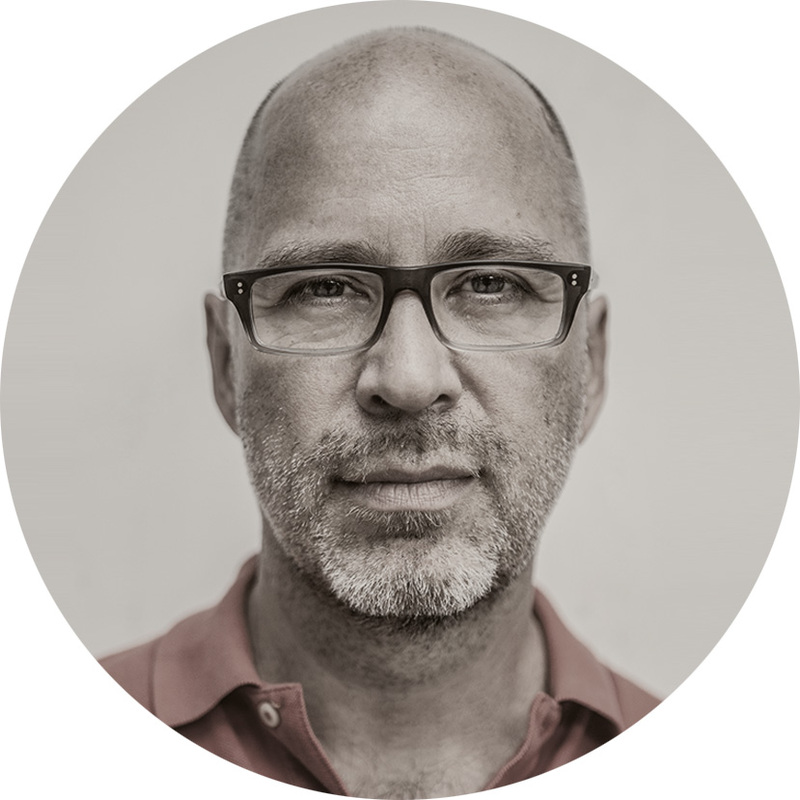 My job was to analyze what was happening in Eastern Europe and to recommend how our readers – mainly large multinational corporations – could take advantage of recent political events. I was the office’s “expert” on Czechoslovakia, though I was still pretty naïve at the time. 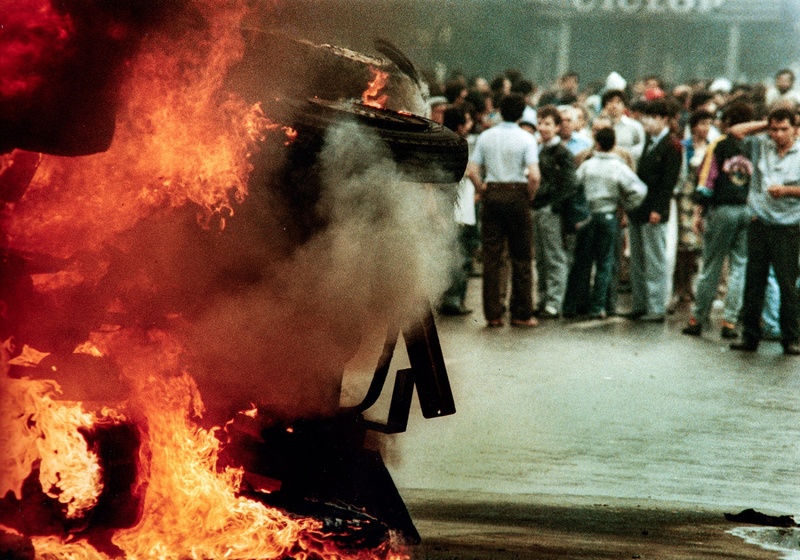 The “Velvet Revolution” that overturned Communism in that country had taken place only a few months earlier, in November 1989, though I have to admit I'd largely failed to see it coming. 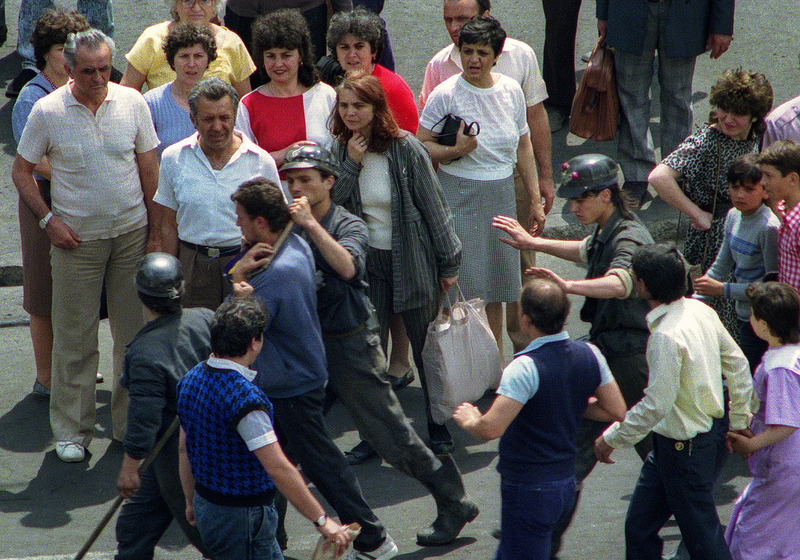 Romania’s revolution a month later in December -- that led to the arrest and execution of dictator Nicolae Ceaușescu and his wife Elena -- was, if anything, even more dramatic and unanticipated. Indeed, looking back on those days from more than a quarter century, almost no one had foreseen the domino-like fall of Communism throughout Eastern Europe in 1989. That fact imparted a sense of awe over the unfolding of history that we were all feeling. 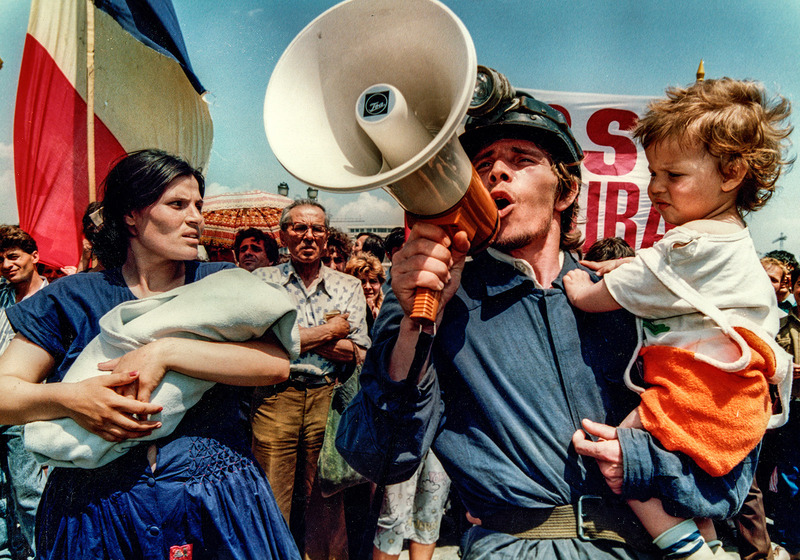 By the spring of 1990, the whole region, including Romania, was now considered to be “safely democratic.” Indeed, the future was looking pretty good, and even the weather was starting to cooperate. My girlfriend at the time, Delia, suggested we take a trip somewhere to relax over a long weekend. We looked through a list of cheap flights from Vienna and opted for Romanian airline Tarom’s service to Bucharest. It was a relatively exotic choice, as very few tourists were yet traveling to Romania. 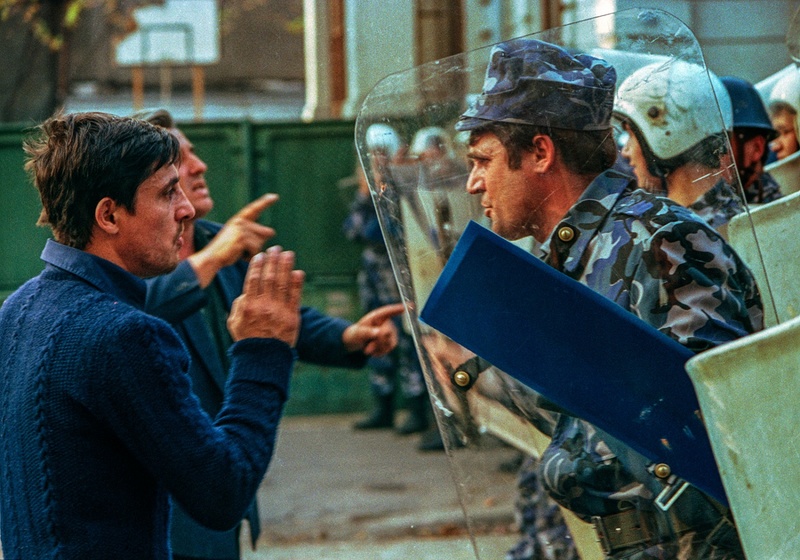 We reasoned that we had spent so much time writing about the anti-Communist revolutions that it was time to pay a visit in the region and see how they were progressing. Besides, we thought, Bucharest must lovely in springtime. Our departure date was set for Wednesday, June 13. Delia and I quickly figured out there was some type of armed skirmish underway in central Bucharest, though we had no idea what was happening. We quickly arranged alternative accommodation at what was then called the Park Hotel, outside the center. It was the start of what would turn out to be one of the oddest weekends of my life. 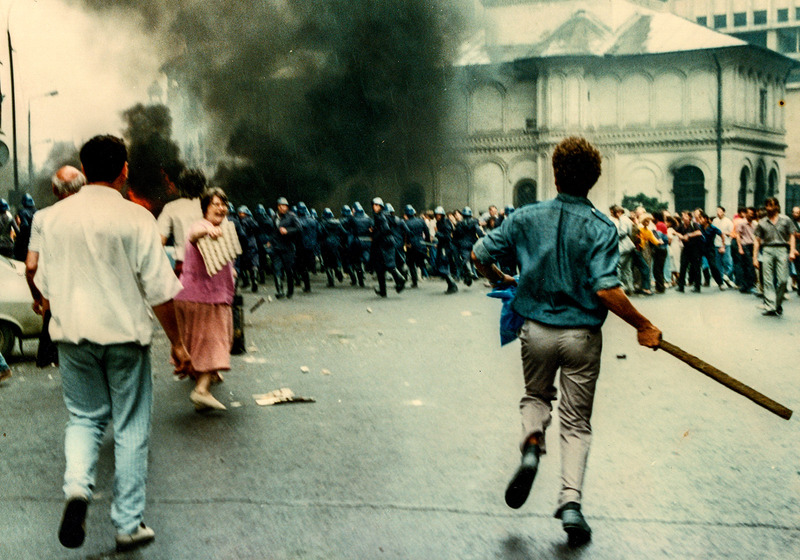 Bucharest June 1990. Photo by Andrei Iliescu. Over the next couple of days, we came to realize that we had blundered our way into what Romanians now call the “Mineriadă,” several days of brutal street violence that pitted the police against pro-democracy protesters and students unhappy over the pace of reform. The name refers to the hundreds (thousands?) of coal miners from the faraway Jiu Valley whom the government had foolishly called in to knock some students’ heads around and assert control over the situation. In the end, as many as 100 people may have been killed and several hundred wounded over that bloody weekend. 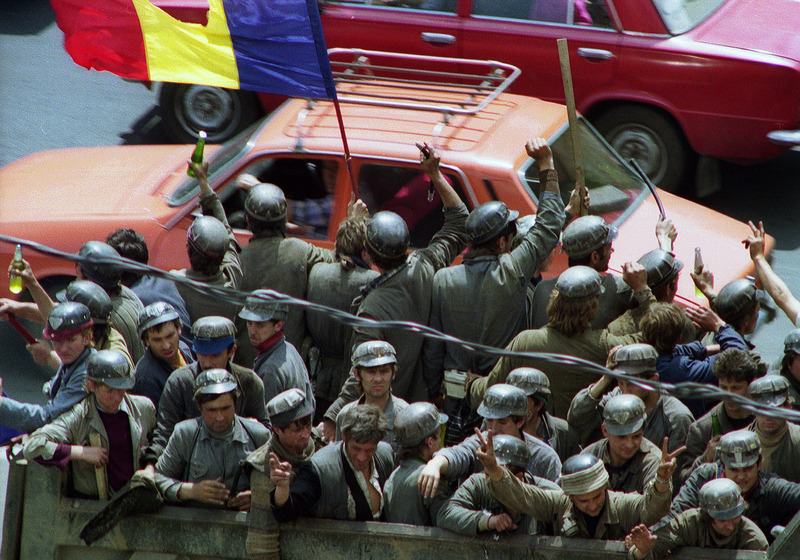 There were even rumors that elements of the Securitate, the Romanian secret police, had infiltrated the miners. We had picked a great spot for our holiday. 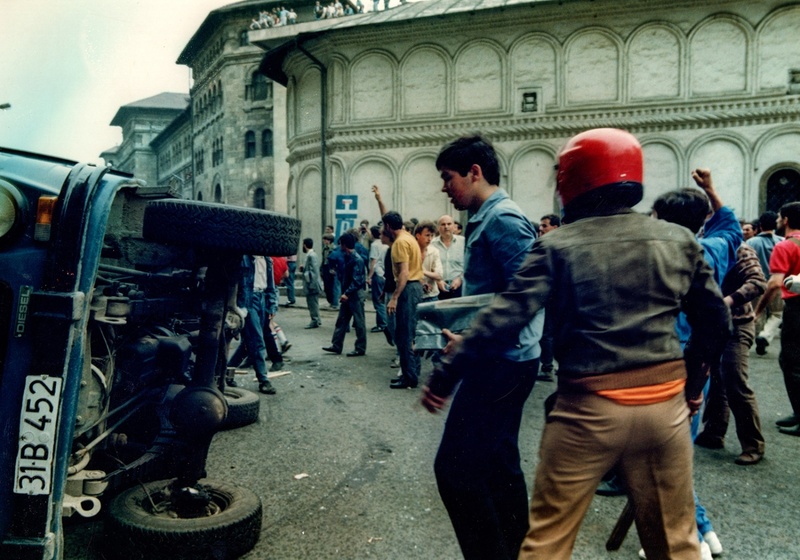 I recall that there was blood pretty much everywhere and plenty of violence to witness. 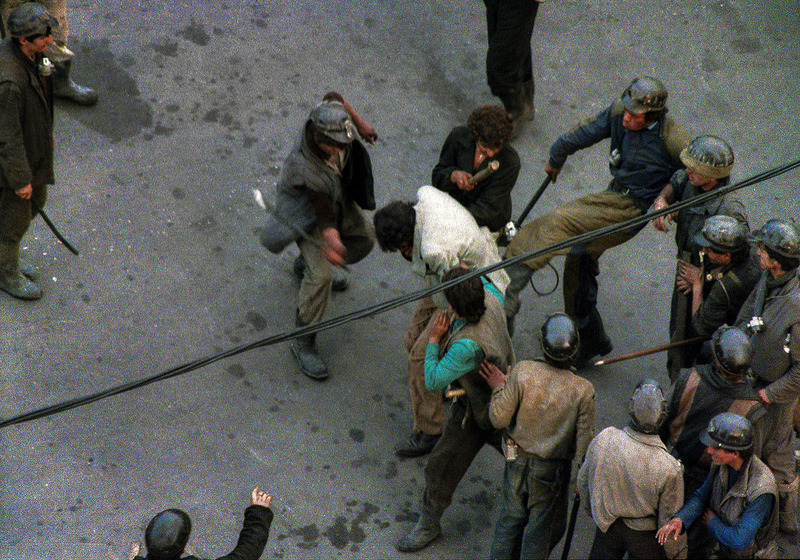 I saw students – many of whom looked a lot like me -- get their heads clubbed in by miners and police. Others were shouting protest slogans in a language I didn’t understand. After spending the morning surveying the carnage and dodging police truncheons, we walked across the city through crowds of cops and demonstrators to eat lunch at the famed “Hanu' lui Manuc” restaurant. 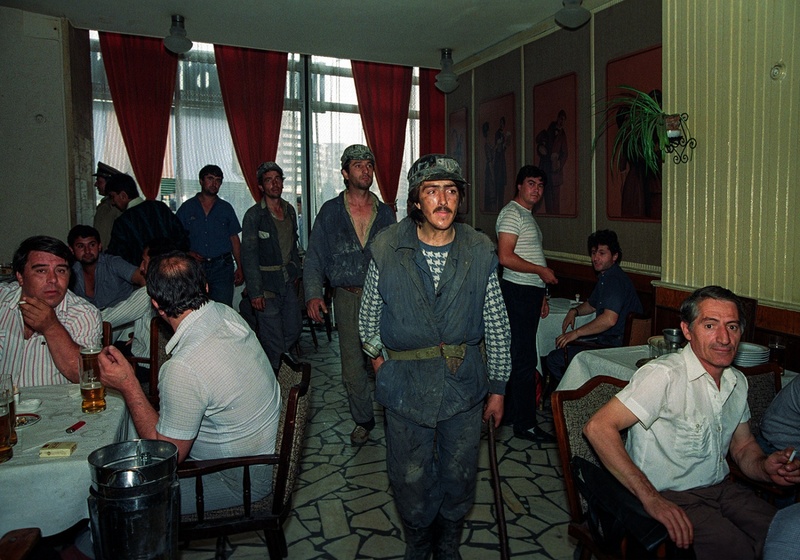 Despite the war-zone setting, the restaurant was buzzing and the food surprisingly decent. There was a feeling of heightened anticipation in the air, though no one appeared to be overly stressed. The waiters went about their business. I recall them being uncharacteristically attentive. Over a plate of what was probably sarmale cu mămăligă (Romanian-style cabbage rolls and polenta), Delia and I discussed what to do next. We’d heard rumors that flights in and out of Bucharest that weekend were being cancelled, and it wasn’t clear we’d be able to fly out on Sunday as we’d planned. 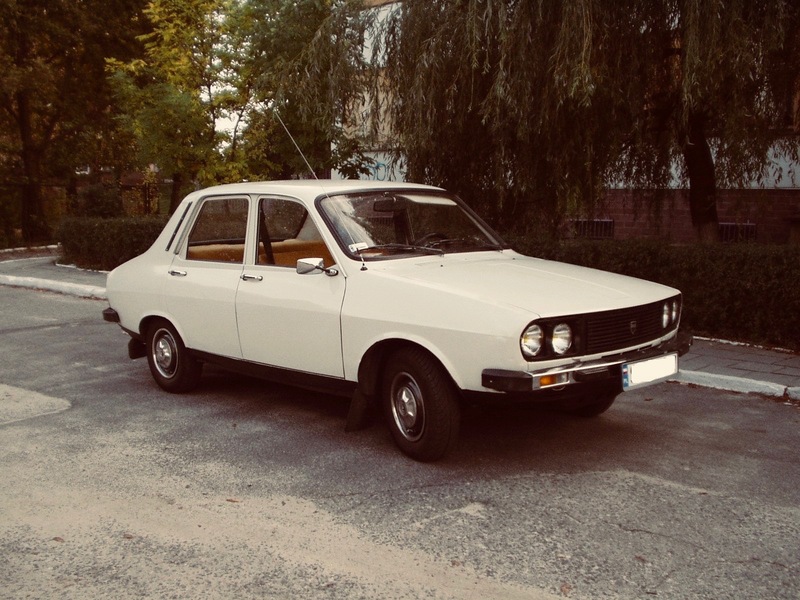 File photo of a vintage Dacia from around the time that Delia and I rented ours for the escape from Bucharest. At about that point, we came up with the idea to rent a car and drive back. The plan was to take the car as far west as the Romanian border city of Timişoara, about 550 kilometers (340 miles) away, and then hop a train from there to Belgrade. Trains from Belgrade back to Vienna at the time were relatively frequent, and we knew once we were in Serbia, we’d find our way back home. We found a taxi near University Square and asked the driver to take us to a nearby car-rental agency. We’d only driven a few hundred meters when a group of miners – dressed in greasepaint and holding lead pipes – stopped the taxi to ask for identification. Our driver rolled down his window and told the head miner that two foreigners were in the back seat and that they were leaving the scene. Imagine our surprise, then, when the head miner turned to us and asked – in very good English -- to see our passports. Maybe those rumors of the Securitate being involved weren’t so far-fetched after all. The rest of the trip is a blur. The next morning, Friday, we set out in our newly hired Dacia 1310 en route to Timişoara (I posted a picture here that looks like our car). As anyone who’s ever done that drive can tell you, it’s no picnic. We stopped somewhere around the halfway point for the night and arrived in Timişoara by Saturday evening. Once in town, we paid our respects to the church of László Tőkés. 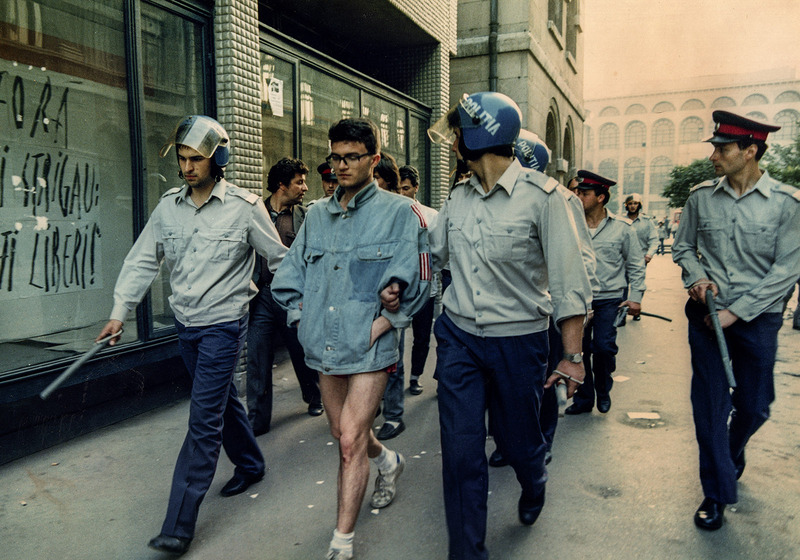 He’s the dissident ethnic-Hungarian pastor who was credited with igniting the Romanian revolution in December 1989 that would ultimately cost Ceaușescu his job and his life. Afterward, we found a cheap hotel and settled in for the night. On Sunday, we were up at the crack of dawn and bought two tickets for the early-morning train to Belgrade. The stars were in alignment on that leg of the journey. Once we arrived in the Serbian capital, the express train to Vienna was leaving in a couple of hours. We bought two tickets to Vienna with the last remaining dollars (or Austrian schillings) that we were carrying. I can’t remember ever being so happy to be back in sleepy, boring, bourgeois Vienna as our train pulled into the old Südbahnhof on Sunday evening. Back in the office on Monday morning, I poured over the front page of the “Financial Times,” reading up on all the violence taking place in faraway Bucharest. One of the best aspects of launching this blog (one that I didn’t see coming) has been the opportunity to reconnect with some of the people featured in the stories. Some of the stories go back 20-30 years or so, and as important as these people were to me then (and still are in my memory), over the years we’ve fallen out of regular contact. I heard from Delia on Facebook shortly after this post went live. She reminded me of a couple details that I had forgotten. The first one concerned the reason for our trip. In my mind, Bucharest was more or less a random choice, but she jogged my memory a bit more by telling me she was also working on a freelance assignment for Fodor’s travel guides at the time and this was a follow-up trip for her to collect research. She’d made an earlier trip to Romania the previous December (shortly before the Romanian revolution). That explains the random meal at the Hanu’ lui Manuc restaurant. The second detail was a visit the two of us made during our stay to the apartment of a woman Delia had met somehow (maybe on that earlier trip). I can’t recall her name, but she was a diva in the opera (or somehow connected to the theater). An elegant, cultured woman whose hands shook as she offered us coffee and pointed to the bullets still lodged in her wall from the fighting just a few months earlier, in December 1989.